We are working on it right now. I intend we will get started within our first term of government. We are also planning rapid bus connection from Manukau and Puhinui rail stations to airport in next two years. 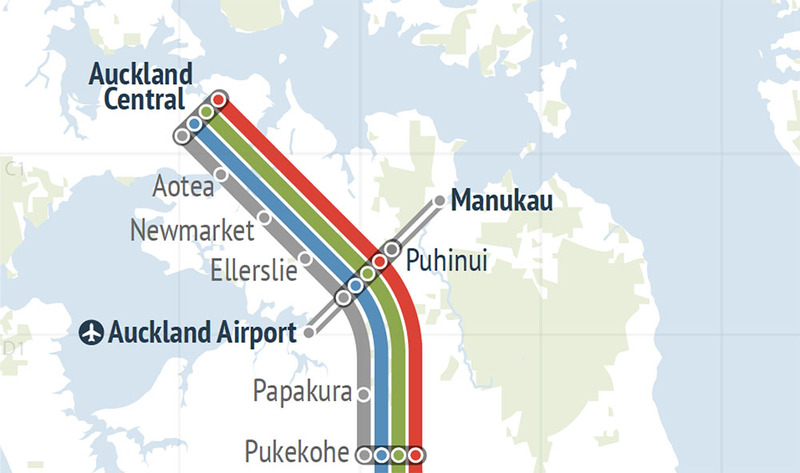 This would be first stage in South East rapid transit: Airport-Puhinui-Manukau-Botany-Flatbush-Howick. 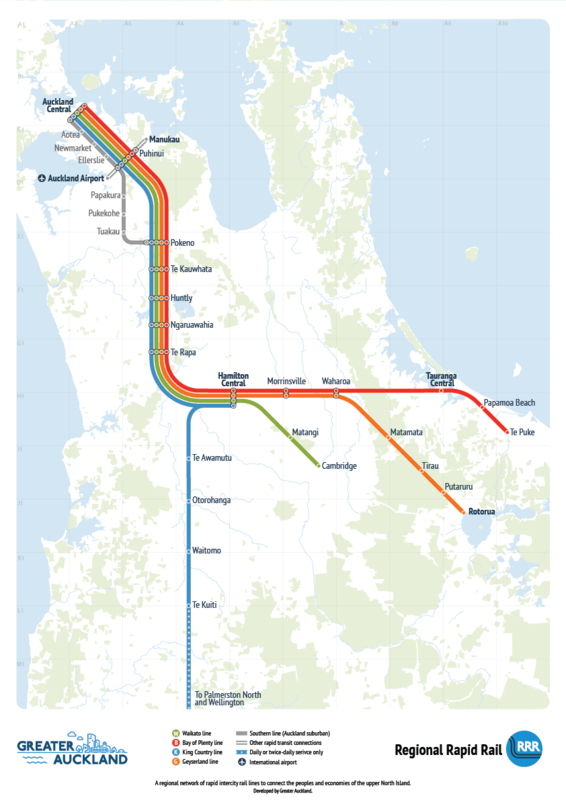 So Regional Rapid Rail, and the Southern Airport Line are both a go as far as the Minister is concerned (Regional Rapid Rail and The Southern Airport Line a (virtual) GO!). Regional Rapid Rail is inter city rail between Auckland, Hamilton and Tauranga with further destinations opened up later on. The idea being rather than driving or flying between these major urban Centres you can catch a diesel/electric hybrid passenger train whether you are on business, an international tourist, a domestic tourist or off visiting family in the upper North Island. Naturally doing Regional Rapid Rail and the Southern Airport Line together just makes sense! 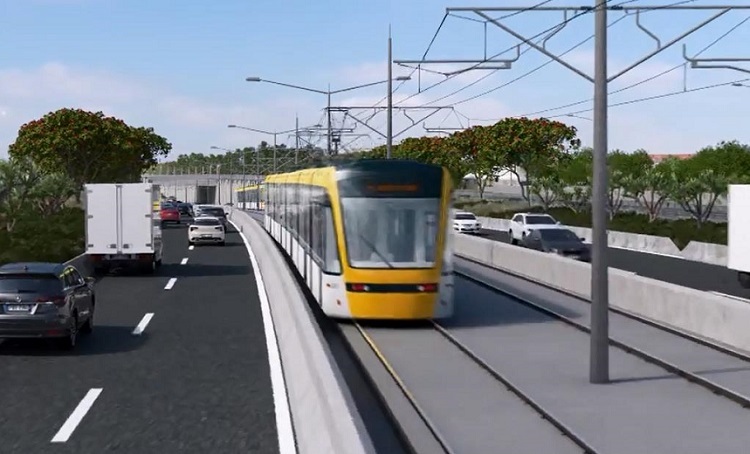 However, upon reading the good news from the Minister of Transport Phil Twyford I did see that he plans for the Southern Airport Line to be Bus Rapid Transit (think Northern Busway) not Light Rail as the Northern Airport Line (Airport to City Centre via Dominion Road) would be. 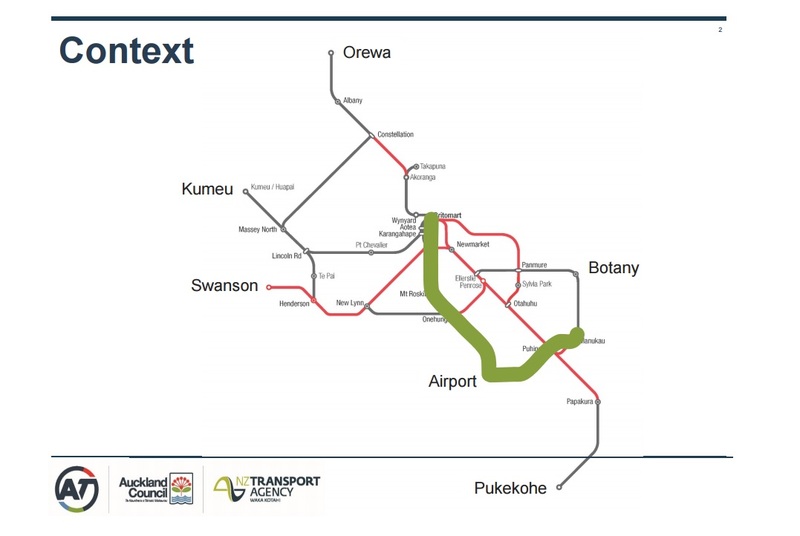 This has again prompted concerns that we are under-cooking transit infrastructure again in Southern Auckland but this time with inter-regional consequences. Now tell me, are busses like Skybus going to cut the mustard to move these people of Manukau to the Airport is Bus Rapid Transit? Mixing business passenger, families, airport passengers with bulky baggage, and airport workers on a 50 seater bus (with luggage cages) is going to be a very uncomfortable ride and one that has very long dwell times at stops as everyone gets on at the single front door, waits for the people to place their bulky bags (if the cage is not full already), and probably get held up by those needing to exit out the single back door (but need to get their bags first). Simply put not efficient even if double door loading is done as you still need passengers to alight first. Given the Southern Airport Line has an inter-regional catchment (the entire upper North Island whenever they want to go to the Airport or those from the City wanting an express route to the Airport) and that catchment is fast growing in terms of population and employment complexes I wonder if bus is really the right way to go about for the Line (the answer is no). We need to do the Southern Airport route once and do it right. Look at the Northern Busway, that should have been light rail from the start but, understandably, at the time it was difficult enough just to get it as a bus way. At least they did build it capable to be converted to Light Rail. We now know that the Southern Airport connection will need to be Light Rail in the future, so we should save (future) money and build it as light rail from the start, and the sooner the better. Regional Rapid Rail and The Southern Airport Line a (virtual) GO!